What happens when a 12-18 month old is let loose in a soft, safe space with someone who follows and reflects their every sound, move and mood? 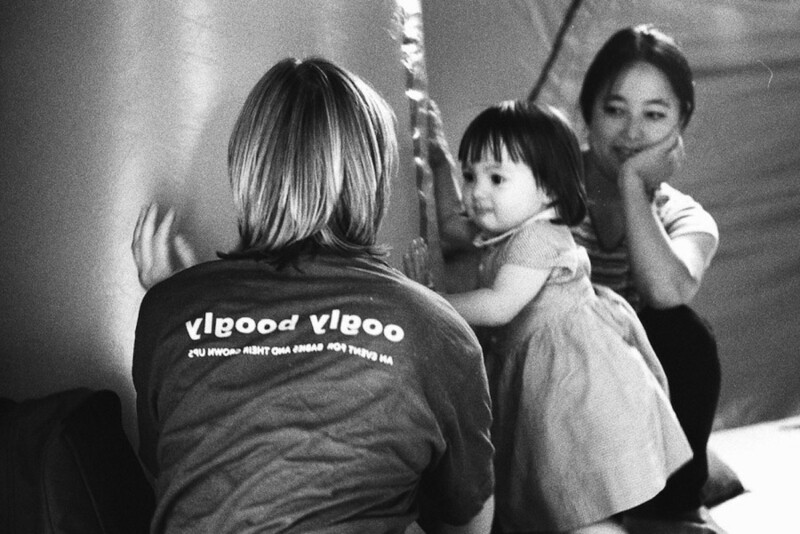 The interaction between babies, performers and the audience of parents and carers is what made Oogly Boogly an utterly unpredictable event. A delightfully simple and spontaneous experience for both performers and participants where, in fact, we could begin to wonder which is which. Oogly Boogly went to The Place in 2003 and to Sadler’s Wells in 2006.